Welcome to the Casavvy Classroom. We want our visitors to be able to make the most educated and informed decision possible when it comes to the financial product they are choosing. Here you will find the answers to the most common questions about credit cards, checking accounts, and savings accounts. By knowing the answers to these questions you will be more prepared to find the financial product that will work best for you and allow you to get the most out of your money. So go ahead and take a look at the information provided in the Casavvy Classroom. Then check out the products featured on Casavvy.com and get ready to give your money a fresh start. The real answer is that no one really needs a credit card. But, a credit card can help you with a lot of things. You will build your credit score based on your payment history and how well you manage your credit limit. If your credit score shows that you always pay your bills on time and you manage your credit limit, lenders will see that it is worth it for them to issue you a loan. If your credit card is stolen and you report it, you are not liable for charges that someone else made on your card(If your cash is stolen or lost then it takes a lot of time and energy to get it back, and most off the time you won’t). And, most credit card companies will offer you free (some credit cards require an annual fee)rewards in the form of airline tickets, cash back, free travel and car rental insurance, among other things. All for using their card to spend the money you were going to spend anyways. Your credit score will be a number between 300 and 850. The score is generated by reviewing your credit history, specifically, how much money you borrow and how well you do at paying that money back. Each time you use a credit card to buy something, you are borrowing that money, and when you pay off your bill, you are paying off your debt. You can check your credit score for free, 3 times per year (one per each credit bureau you choose), and you need to have established some sort of credit for at least 6 months before you will obtain a credit score. Also, by checking your credit score periodically, you know whether or not you have become the victim of identity theft, which is something no one wants to happen. IF I HAVE NO CREDIT/BAD CREDIT CAN I STILL GET A CREDIT CARD? There are credit cards designed specifically for people with no credit/bad credit. There are student cards that are available to students who have not yet established credit. There are also secured credit cards that require an initial, refundable deposit be put down when you apply for the card. The deposit serves as your credit limit and as you pay off your bill each month you will help improve your credit score. When you close out your account with the credit card company, your initial deposit will be refunded. Applying for a credit card on Casavvy.com is easy. Just click on the “Apply” button for the card you are interested in, and you will be connected to the credit card vendor’s secure application site. There you can fill out your application in just a few minutes. After you receive your credit card, it is smart to go online and set up a username account on your card company’s website. This way, you can view all your up-to-date account information and find any contact information you need. There is a phone number printed on the back of your card that you can use to call the credit card company as well. APR, or annual percentage rate, is the interest rate charged to you by the credit card company when you borrow money. You only pay interest on the money you leave on your balance at the end of each billing cycle. If you pay your bill in full each month, you will not be charged any interest. Since the APR formula is based on your interest over an entire year, you take your APR and divide it by 12, then multiply that by the money remaining on your balance, to find the interest you’ll pay that month. The grace period is the time that the credit card company gives you to pay your bill before any interest is applied to your balance. Most credit cards have a grace period between 10 and 20 days. Credit card companies offer secured credit cards for people who need to repair their credit score. A secured credit card will require you to make an initial deposit into an account. This deposit will most likely represent your credit limit and will be collected if you default on any of your payments. If you keep up with your payments long enough to repair your credit score, you can then cancel your secured credit card, and your initial deposit will be refunded. The most popular accounts that people use with banks these days are checking accounts. Many banks are offering interest earning checking accounts that allow your money to grow but also give you the freedom to spend as you would with any other checking accounts. Some of the banks that are offering the highest interest for these checking accounts are online banks. Online banks can offer higher interest rates because they do not have the overhead of hundreds of buildings spread out all over the country to maintain and staff. The main drawback to online banks is that you do not have the luxury of going down the street to speak with a bank manager about your account. But your online bank checking account can be linked to your physical bank branch and money can be moved back and forth with a phone call or the simple click of a mouse. So now you can get the best of both worlds. Here are the answers to some common questions about online banks. 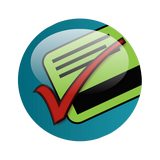 After you answer your questions check out the checking accounts featured on Casavvy.com. Or if you have any other questions send them to info@casavvy.com. Yes, most physical bank branches offer online banking that you are probably already using. Online banks offer the same FDIC insurance and security that physical banks have, along with the same security provided through their internet connections. It usually takes 2 – 3 business days for transferred money to become available in your account. DO ONLINE BANKS OFFER A DEBIT CARD THAT IS LINKED TO MY ACCOUNT? Yes, online banks will issue you the same type of debit card your physical banks offers. It can be used to purchase things the same way you use your current debit card. DO ONLINE BANKS OFFER THE SAME FEATURES THAT PHYSICAL BANKS DO? Yes, and in some cases you get even more features. You have the ability to write checks that are linked to your account, you can setup direct deposit, most offer free online bill pay, and some will even mail checks for you and pay the postage as well. Check out the details for each online bank to see these features along with any additional features they offer. HOW DO I CHECK THE BALANCE OF MY ACCOUNT, MAKE TRANSFERS, DEPOSITS, ETC? Everything you need to know about your account is online using your username and password. Most likely, you already have an online account with your current bank to manage everything. It works the same with your online bank account. HOW IS THE INTEREST ON MY ACCOUNT CALCULATED? Interest on the money in your account is calculated daily (allowing you to earn interest on the interest you earned from the day before, also know as compounding interest) on the current amount in it and paid out at the end of each month. By using a credit card instead of your debit card, you only make one payment at the end of each month (instead of having money withdrawn each time you purchase something with your debit card or write a check for), allowing your money can stay in your account longer and earn more interest. Take a look at some common questions about credit cards or look at the credit card products featured onCasavvy.com. WHAT IF I NEED TO TALK WITH SOMEONE ABOUT MY BANK ACCOUNT? Online banks offer the same 24/7 phone and internet support that physical banks do. IS THERE A MINIMUM DEPOSIT TO OPEN A CHECKING ACCOUNT? Every bank is different. Some banks require a minimum deposit, while others will let you open a checking account that does not require minimum balance. Refer to each online bank’s checking account details for more information. APY or annual percentage yield is the amount of interest your account will earn in a year. APY takes into consideration compounding interest, (where the interest you earn is also earning interest). The higher the APY, the more money your account will earn for you. The most important account you can start at any bank will most likely be your savings account. With many different banks offering savings accounts as well as the ever changing interest rates, it is of upmost importantance you know the money you save is working for you and earning you interest. Some of the terminology and features included with a savings account can be confusing so here are some common questions and answers to help make your decision easier. After you answer your questions check out the saving accounts featured on Casavvy.com. Or if you have any other questions send them to info@casavvy.com. Casavvy Classroom Tip of the Month! Here’s how easy it is to receive all of the benefits from the products featured on Casavvy.com, and make the most of your savings and spending. Link your credit card to one of the checking accounts featured in order to make your monthly payments. Use the credit card to purchase everything you would normally use your debit card or write checks for, and watch your points, rewards, and/or cash-back bonuses add up. Log on to your credit card account at the end of each billing cycle and click “pay bill.” The money that would normally be deducted each time you use your debit card or a check is still there earning interest. You just pay for everything at once at the end of each billing cycle. If you keep up with your payments and pay on time, then you can enjoy the free rewards (which can include cash) that the card companies offer you for using their card when you spend. Put away some of your money each month in one of the high-interest savings accounts featured and save for something in the future.